Snapchat Stories are like Instagram Stories (or should I say Instagram Stories are like Snapchat Stories?) where you can create a story to tell your followers by including many of the things you have done lately. If you've been using Snapchat for some time, you'd better know what these stories are and how you can create them. Once a story is created, your followers can view it on their devices using their Snapchat accounts. While not often, you may want to delete a story from your Snapchat account. Maybe you created the story in a rush and it doesn't have what it should. Or maybe the items in the story aren't appropriate and you just want to take it down. Make sure you have created at least one story before you can delete it in Snapchat. To start deletion, simply find the story you wish to delete and then tap on three-dots next to the story. That will show you all the available snaps in your story. Then, tap on the item you wish to delete and it will cover your full screen. Tap on the dustbin icon and a prompt will appear asking if you would really like to delete it. Tap on Delete and it will be gone from your Snapchat Story. 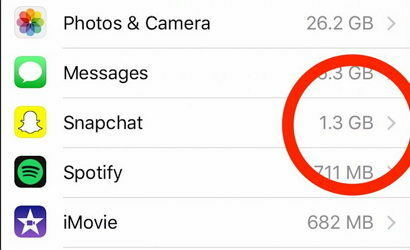 So, that was how you could delete a Snapchat Story on your device. Cleaning up your entire chat history with someone or with all in Snapchat is also easy and the following shows how you can do that. The first thing you need to do is open the Snapchat app on your device. Then, tap on the gear icon to open the settings menu. Scroll down and tap on Clear Conversations to go to the page where you can delete your chat history. On the current page, you can either remove the chat history for an individual contact or you can remove all. Tapping on the x icon next to a person's name will delete your chat conversations with him or her. Or you can tap on the Clear All option and it will clear all of your chat history in the app. You'll get a prompt asking if you'd really like to delete the chat history. Say Clear to the prompt and it will remove all of your chat conversations from the app. 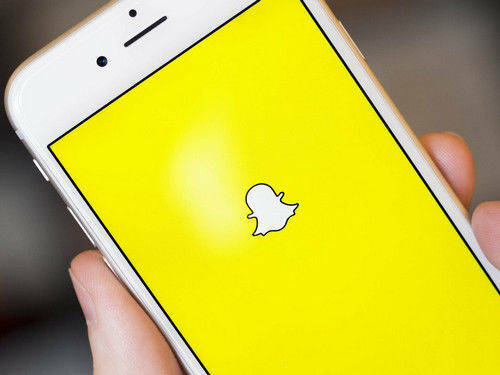 So, that should delete your entire chat history in Snapchat from your device. If you were doing this for the purpose of removing junk files from your device, then you are not done, yet. Although the chat history is gone, there are still many junk files left by the app on your device. If you happen to use an iPhone, you will have no file manager to manually find and delete these junk files from your device. Fortunately, there are many third-party apps out there that can help you get rid of junk files on your device. One of these apps is called iCareFone Cleaner that helps you remove all kinds of junks and temporary files from iPhone X/8/7/6/5s, iPad, iPod touch by 1 click. To remove the leftover files of Snapchat, simply download and install the iCareFone Cleaner app on your computer. Connect your device to your PC/Mac and then let the app clean up your device. If you are concerned about the data on your device, then you can also get it fully erased so that nobody can ever recover it from your device. This can be done by choosing the Full Data Eraser option in the app on your computer. The option will make sure that all the data on your device is securely erased so no unauthorized users can access it. We hope the above guide helps you delete Snapchat stories and chat histories from your device.